Support the Phoenix Film Foundation while you shop at Fry’s! If you have already done this, thank you! But if not, here's what you do! In the upper right corner, either Log in to your Fry’s V.I.P. account or create a new one. Once you have an account, click on the “My Account” button. Just below the “Personal Information” section, you will find the “Community Rewards Section” . 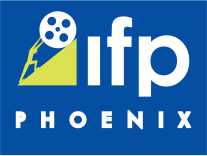 Search for “PHOENIX FILM FOUNDATION” (or type in our number: HV296) and click enroll. Once registered and signed up, you help the Phoenix Film Foundation every time you use your Fry’s card!